Carlos Queiroz began his reign as manager of the Colombian national football team with a 1-0 win over Japan in an international friendly in Yokohama on Friday. A second half penalty from record goalscorer Radamel Falcao was enough to secure the victory as preparations began for this summer’s Copa America under the new boss. Queiroz, who replaced Jose Pekerman as head coach admitted that he “was happy with the work of the whole team” in a victory that went some way to avenge Colombia’s group stage defeat by the same opposition at last year’s World Cup. The much anticipated first starting XI of the new boss showed a mix of youth and experience with 19-year old Sebastian Villa joining the likes of established stars Radamel Falcao and James Rodriguez in an attacking line-up. Colombia started brightly with Villa striking the crossbar in the fourth minute for the visitors but it was Japan who gained an immediate foothold in the game. 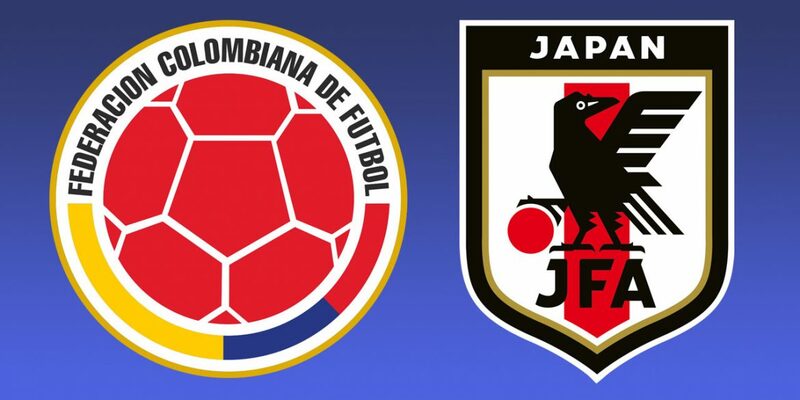 Colombia’s midfield axis of Jefferson Lerma and Wilmar Barrios struggled to deal with the energy of the Japanese while full-backs Deiver Machado and Helibelton Palacios also looked vulnerable in the first half. Despite the “Samurai Blue” being in the ascendancy in the opening half, the Japanese failed to really threaten the goal of Camilo Vargas, who replaced the injured David Ospina. “Los Cafeteros” emerged for the second half with much more vigor and Falcao appeared to have found the net in the 48th minute, but the goal was disallowed following a foul in the lead-up play. The introduction of Atlanta front-man Duvan Zapata in particular gave Colombia much more balance and bite in attack with the in-form striker winning a penalty after his 64th minute shot was deemed to have been handled by Takehiro Tomiyasu. Colombia’s captain Falcao made no mistake from the spot to register his 33rd goal for the national team with the Monaco striker celebrating by raising a shirt bearing the name of team mate Juan Fernando Quintero, who injured his anterior cruciate ligament playing for his club River Plate last weekend. Tomiyasu almost made amends for his handball 13 minutes later but his header was directed straight at Vargas. As the Japanese pressed for an equalizer, Shoya Nakajima also went close, clipping the crossbar with a long-range effort but that crucial breakthrough never arrived for the home side. Colombia substitute Luis Diaz almost made it two for the South Americans in stoppage time but his effort also hit the woodwork. Queiroz will be satisfied with victory in his first game and will have another opportunity to experiment on Tuesday when his side takes on South Korea in Seoul (6 a.m. Colombia time). Colombia will face Argentina, Paraguay and guest nation Qatar in the group stages this summer’s Copa America in Brazil, which starts in June.